However, it has at least increased consumers’ knowledge of the threat against the bees, as it’s no secret that they’re in danger. The only “secret” that seems to exist is how that affects us as a collective. There is an apparent disconnect between the destruction of the environment and other species and the effect it will have on human beings. What many people don’t know is that bees pollinate 71 of the 100 crops that represent 90% of global food supply. Without bees, we could not satisfy current global food demand, let alone reach the capacity required to meet the rapidly increasing projected demand levels that population growth will create. One of the biggest factors affecting bees are the pesticides we use on crops and the environment in general. Ones that represent a greater threat are neonicotinoids, a dangerous and powerful class of pesticides that tons of U.S. farmers use on their crops. Though they were originally introduced as a less harmful pesticide alternative for bees in the 1990s, these have been directly associated with killing bees and are largely responsible for their recent population decline. Thankfully, some places are being proactive in placing bans on this class of pesticides. Maryland is actually set to be the first state in the U.S. to ban neonicotinoids for consumer usage. However, it’s important to note that other pesticides affect bees too, and we will have to do much more than simply banning this class to fully give the environment the respect it deserves in order to restore the health of this planet. It’s official: Maryland will be the first U.S. state to ban neonicotinoids, a class of pesticides that have been linked to bee population decline. This is a big step, as many gardeners and home dwellers use these pesticides on their gardens, trees, etc. The state ban on consumer usage of it will come into effect on January 1, 2018. Interestingly enough, the ban will still become law come 2028, despite the fact that the Governor would not provide his signature. Just How Bad Are Pesticides for the Bees? When it comes to neonicotinoids? Pretty bad. 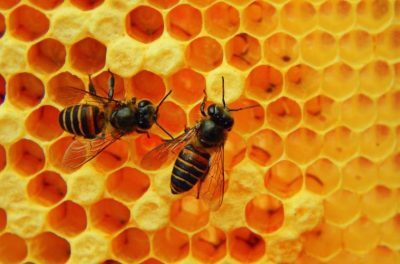 Maryland alone lost more than 60% of its hives in 2015 (which is what prompted the proposal of the ban in 2016), each losing up to 20,000 honeybees. Many other states are following suit, as many are experiencing similar losses in honeybee populations. 29 independent scientists conducted a large scale review of 1,121 independent studies and found clear evidence of pesticide usage linked to the declining bee population. The team, the Task Force on Systemic Pesticides, titled the review “Worldwide Integrated Assessment of the Impacts of Systemic Pesticides on Biodiversity and Ecosystems,” and you can read the full report here. They advised that neonics should be banned. In addition, neonics are neurotoxins anyways, so no human being should necessarily want to be in contact with them whatsoever, as this clearly poses a risk to human health. A Harvard study published in the Journal of Environmental Chemistry found that bees are at risk of neonicotinoid exposure any time they are foraging, as it was found in the honey and pollen samples. “Data from this study clearly demonstrated the ubiquity of neonicotinoids in pollen and honey samples that bees are exposed to during the seasons when they are actively foraging across Massachusetts. Levels of neonicotinoids that we found in this study fall into ranges that could lead to detrimental health effects in bees, including CCD,” explained Chensheng (Alex) Lu, associate professor of environmental exposure biology in the Department of Environmental Health at Harvard Chan School and lead author of the study. You can read more about that study and the negative effects neonics have on bees in our CE article here. Research has shown that when bees consume Monsanto’s insecticide for GM corn crops, Bacillus thuringiensis (Bt), it attaches to receptors in their stomach lining and prevents them from eating. This breaks down the stomach wall, rendering bees more susceptible to spores and bacteria and ultimately weakening their immune systems. One study confirmed that exposure to glyphosate, the active ingredient in RoundUp, compromises honeybees’ long-term performance and learning capabilities. Although bees don’t die immediately upon contact, glyphosate can be transferred between bees and this eventually results in colony-wide death if passed down through generations. All of this information simply goes to show that each individual has an impact on the environment. If you’re purchasing foods with heavy pesticides and harsh chemicals sprayed on them, or purchase those products yourself, this will impact the ecosystem negatively. You, as a consumer, vote with your dollar. Spend wisely!